DNA Transcription is the process through which DNA dictates the genetic information it holds to mRNA, which in turn is responsible for the production of proteins in human body. The immediate question that arises in one’s mind is why is there a need for mRNA when DNA itself holds a complete set of instructions for not only building these proteins but in the right quantity and with right functionality too. The answer lies in the fact that DNA is located within the nucleus of the cell whereas the production of proteins happens in Cytoplasm, which is outside the nucleus. The DNA itself is so important to the survival of life that the cell doesn’t risk sending it out of the well-protected nucleus and incurring any chances of DNA mutation. 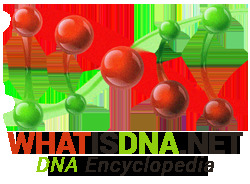 DNA Transcription thus saves the DNA well protected against the dangers of ultraviolet rays, radiation etc. while the essential information is copied to RNA. To be more accurate, it’s the messenger RNA, also known as mRNA, which carries this information from DNA in the nucleus to outside ribosomes in the cytoplasm that carries protein formation. DNA Transcription is very much like the DNA replication process. RNA polymerase that gets its starting and ending cues from the way DNA nucleotides are sequenced carries out the transcription course. The specific sequence that marks the beginning of the transcription is called Promoter Region, which is sensed by the Sigma factor. Once directing the RNA polymerase where to begin, Sigma gets released and RNA polymerase carries the mechanism. Unlike DNA replication, only one strand of DNA gets transcribed into mRNA since RNA is single-stranded by nature. RNA shares the same nucleotide bases with DNA except for the difference of one. These are four bases that always pair up. For DNA’s these are adenine, guanine, cytosine and thymine. These are also referenced as A, G, C & T and always form pairs in the fashion of A with T and C with G. As for RNA; thymine is replaced with uricil (U). Moving along the DNA, the RNA polymerase continues with the transcription process until it encounters the RHO factor that acts as the terminating agent. It causes the transcribed mRNA polymer to detach from the DNA strand, thereby ending the DNA transcription process. Once the DNA Transcription is complete, the resulting mRNA passes through the nuclear membrane and finds its new home in the cytoplasm of the cell where it works with other components towards the production of proteins.